Studio67 is delighted to announce that hairstylist Chris Gosse is joining the team. Born in Calgary, raised in Edmonton. With almost a decade of experience under his belt, Chris has studied extensively at salons in Canada and in the UK. He brings a signature flair for editorial looks to the chair and we’re excited to welcome him to Toronto and Studio67! Without further adieu, meet Chris Gosse. Tell me about your background as a stylist. Well, I’ve always been drawn to doing hair. I can remember wanting to style my mother and sister’s hair when I was young, I love having the ability to make people feel beautifully confident. Seeing someone undergo a personal transformation through their colour or style is an amazing and rewarding experience. I began at a salon out west called Ricci Hair Co. and trained under the owner Toni Ricci who is an award-winning Canadian stylist. From there I did an apprenticeship program through Eveline Charles Academy in Edmonton. I’ve also been fortunate enough to have had the opportunity to study with industry leaders in the UK. How do you feel about being a stylist? For me, hair is like this living fabric that built for transformation. It’s incredible what you can accomplish within, how different you can feel, when you try different styles, colours or cuts. And the best part is, whatever change a client makes today is never permanent. Hair is something that can be transformed constantly depending on what a person is drawn to in that moment. I try to approach what I do as a stylist as more of an artform in the service of my clients. My job is to help them achieve whatever their goals are. Well, I wouldn’t say that I have a speciality per se. I pride myself on my diversity as a stylist. But I definitely enjoy doing hand painted balayage colour because it’s so accessible. Since it’s a custom blend of painted colour, it looks great on everyone. The right selection of tones can bring out a person’s complexion or eye colour, it can just have such a big impact on the overall look and feel of someone’s personal style. Recently I’ve been getting into editorial and fashion styling and loving that as well. It gives me the chance to push boundaries and see what I’m capable of (and what hair is capable of). It’s fun. What look do you love right now? What's trending for Summer / Fall '17? 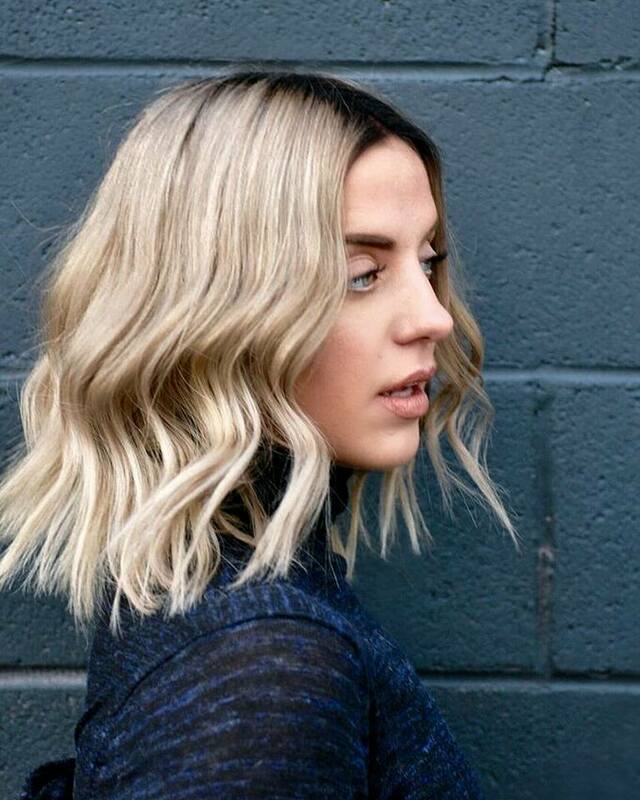 I would say that for color, balayage is still going very strong and we’ll see that continue on into the fall. One trend that is more specific to summer is that we’re seeing a lot of vivid contrasts and pastel tones. For cuts, I’ve noticed that many women are looking for shorter styles, going from a long one-length to a blunt bob or taking their long hair to the collar bone, which is great because not everyone can grow their hair super long so it’s a trend that’s achievable. For me, personal style is a means of self expression and achieving authenticity. I’m not someone who really plans my wardrobe. I just go with the flow and wear what makes me feel confident and I encourage my clients to do the same. Of course, the power of great hair is that you look great in everything. Your hair really is an anchor for your personal style. What do you do when you're not doing hair? Well, when I’m not doing hair you can usually be out with my boyfriend and our friends. I like being at home, but I'm a social butterfly and I need to be around people (something so many stylists have in common). Spending days at the park or by the pool is probably one of my favorite things to do. Chris starts next Thursday so please stop by, say hello, and get a free consultation. Or call us to book your appointment with Chris today.